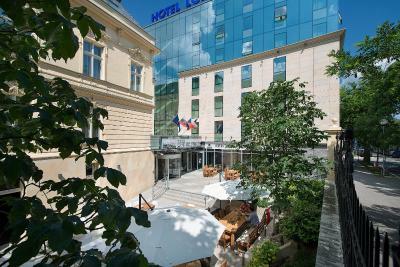 Lock in a great price for LOFT Hotel Bratislava – rated 9.2 by recent guests! 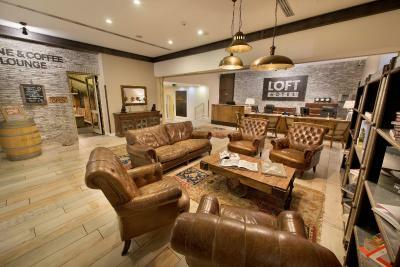 We recently stayed 3 nights in a family room at Loft, and we all agree that it is a fantastic hotel. 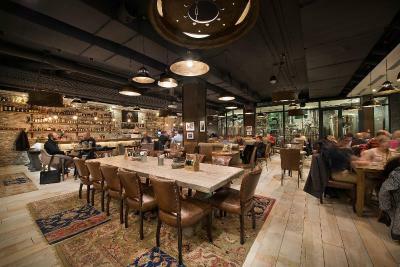 The room was absolutely huge by european standards, and the decor and furnishings are very trendy. We (the kids especially) enjoyed the complimentary beverages and crisps in the room and the little treats by the lifts. The restaurant served an excellent breakfast each morning, and we also had a great dinner there one night. The location of the hotel, though not the most central for old town touristy things, wasn’t too much of a walk away. We had a lovely view from our room of the castle in the distance and the presidential palace just below. Everything was very clean and comfortable. The breakfast was amazing. Rooms themselves were incredibly up to date, wifi very strong. Free mini bar. Right in between old downtown area and train station so just about the perfect spot. Excellent value for money. Friendly staff. Easy walk to the historic city. The kind of hotel where you actually want to spend some time as opposed to just sleeping there. 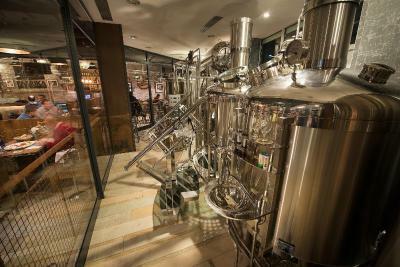 Specifically came for the beer at FABRIKA, so it was a perfect overnight pit-stop. Room was clean, as expected and bonus free mini-bar (water, bee, coffee, tea). Great internet reception and reception staff. Fantastic breakfast! Extremely comfortable beds in the hotel! Really liked the well decorated rooms! Friendly and efficient staff! Great location! The room was sparkling clean, most attractions are walking distance from the hotel, the staff was nice and helpful, and the restaurant was top notch and reasonably priced. Modern hotel with great interior design. 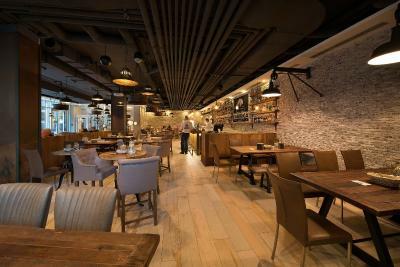 Nice&polite staff (especially at the reception), cozy room with nice view, excellent bed and bathroom, coffee machine (this refers to premium room), very good breakfast, fabrika pub. Definitely you'll not make mistake if you choose this hotel. We liked the decor and the hotel was very nice. The front desk staff was helpful making recommendations and providing good service. 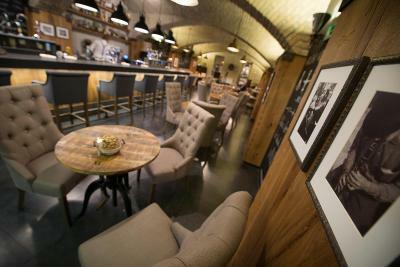 The location allowed us easy access to the areas that we were interested in exploring. 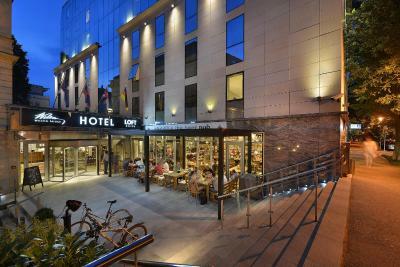 This hotel is great value for money and well located, slightly out of the centre but in walking distance to everything. 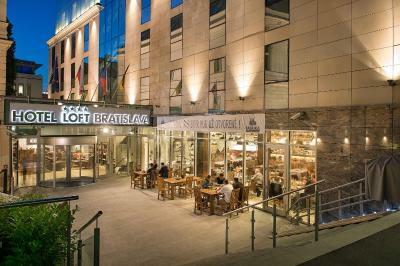 LOFT Hotel Bratislava This rating is a reflection of how the property compares to the industry standard when it comes to price, facilities and services available. It's based on a self-evaluation by the property. Use this rating to help choose your stay! 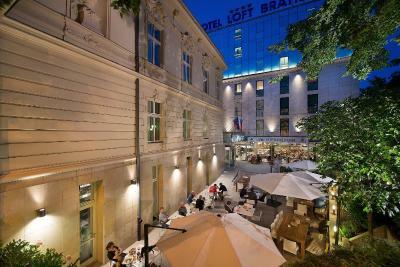 One of our top picks in Bratislava.LOFT Hotel Bratislava is a newly opened 4-star hotel located in Bratislava city center, within a walking distance to the historical Old Town and with an attractive view to the garden of the Presidential Palace. 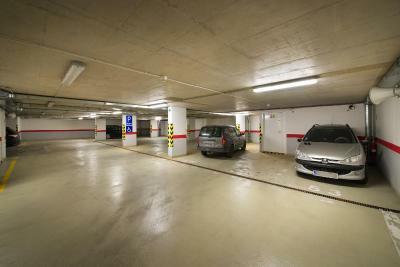 Parking is available in a large underground garage and Wifi is free of charge throughout the hotel. All 111 air-conditioned rooms in LOFT Hotel have been designed and equipped to offer the maximum comfort and create a perfect experience whether you are traveling for a business or leisure. 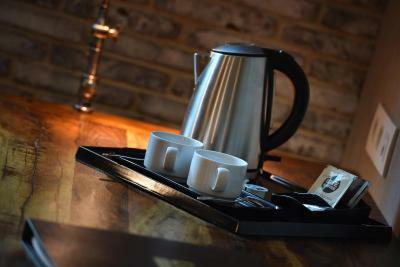 Free of charge facilities include a coffee and a tea, a daily refilled mini-bar, a LCD TV with free international TV channels and a laptop size safety deposit box. 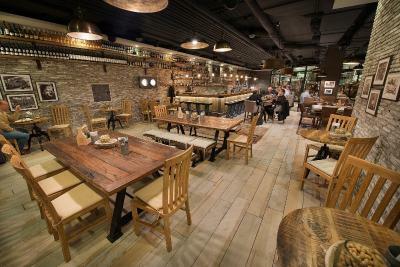 The hotel restaurant Fabrika The Beer Pub offers rich buffet breakfast, lunch menu and a la carte menu. 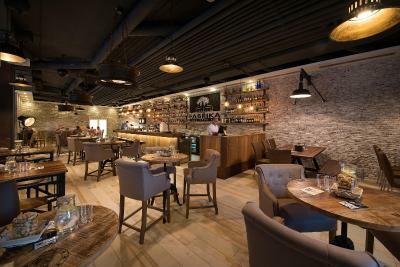 The Coffee and Wine Lounge with summer terrace offers draft beer, Italian coffee, local and international wines, cocktails, drinks and a wide selection of whiskey. The Presidential Palace is only 1,000 feet away. 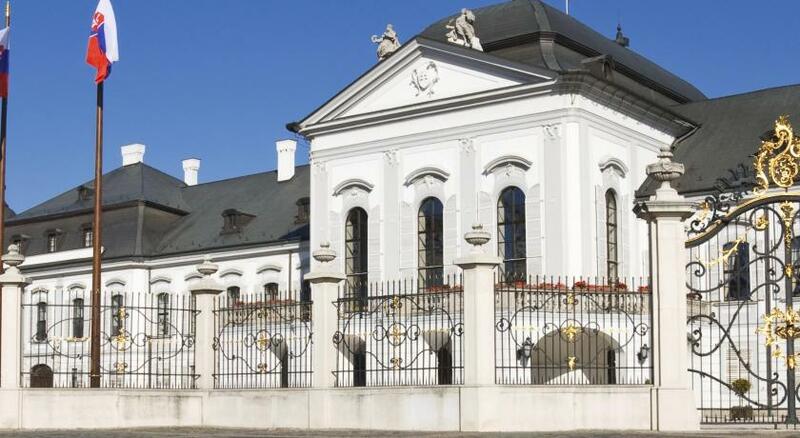 The Bratislava Castle is reachable within 0.9 mi, the Michaels Tower is 2,800 feet away and the St. Martins Cathedral is located within 0.8 mi. The Danube River bank is set 0.9 mi away and the Bratislava Main Railway Station is 2,800 feet away. 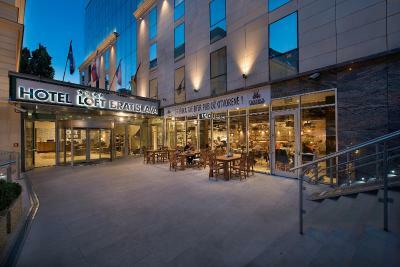 When would you like to stay at LOFT Hotel Bratislava? Please note that a crib is available upon request in this room type. 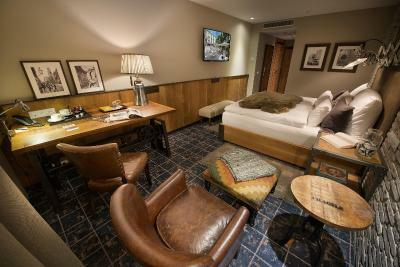 This double room is designed in retro-industrial style and features a seating area and air conditioning. 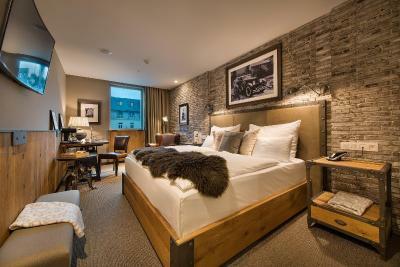 This triple room is designed in retro-industrial style and features a seating area and air conditioning. 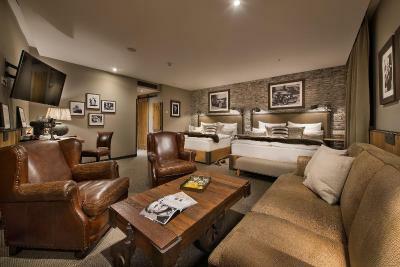 This family room is designed in retro-industrial style and features a seating area and air conditioning. 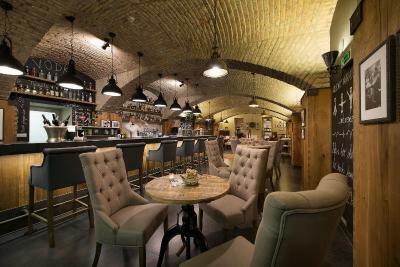 This room is decorated in warm brown colors and a contemporary style. 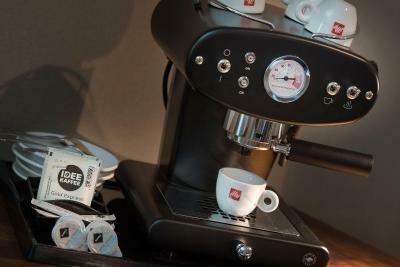 It features free coffee/tea making facilities. 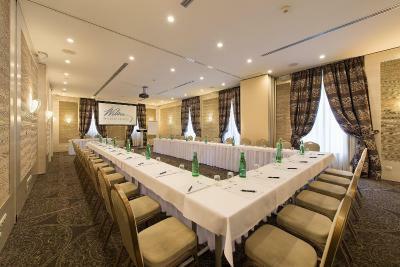 As a host that welcomes his guests, hotel LOFT Bratislava takes care of all its services and facilities in every detail. We want your stay to be at your liking with the maximum comfort. Your well-being is our aim. 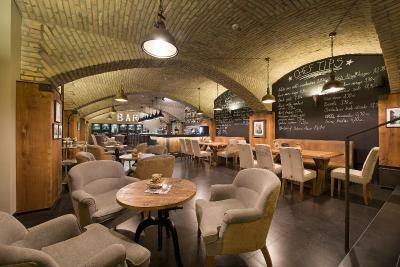 House Rules LOFT Hotel Bratislava takes special requests – add in the next step! 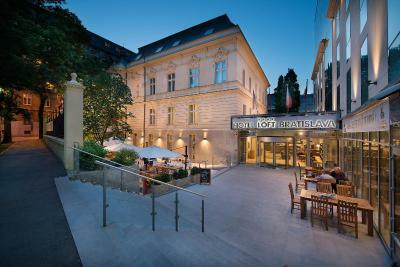 LOFT Hotel Bratislava accepts these cards and reserves the right to temporarily hold an amount prior to arrival. Please note that the fixed amount of 100 EUR is a damage deposit. It is required upon arrival, and will be refunded after an inspection of the apartment on the day of departure. 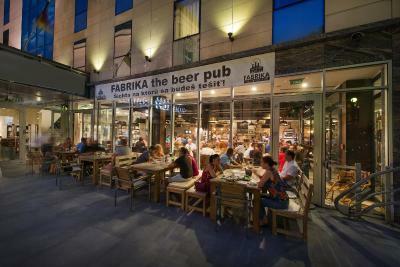 Please note that a prior reservation is needed for the Fabrika The Beer Pub restaurant. Please note that room will be going through renovation works from 6 January until 31 March 2019. 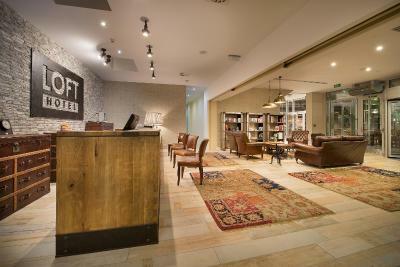 Please inform LOFT Hotel Bratislava of your expected arrival time in advance. You can use the Special Requests box when booking, or contact the property directly using the contact details in your confirmation. 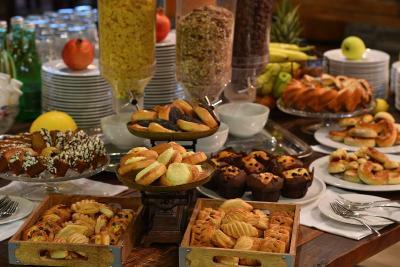 Most amazing breakfast buffet of any of the hotels we have stayed at in our many trips to Europe! Security was great, locked hallways and secure underground garage parking. Staff was very nice. 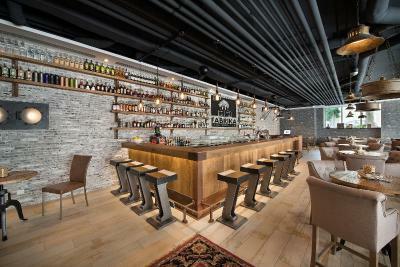 There was a good restaurant with a fully equipped bar. About a 15 minute walk to Old Town and the shops and restaurants there. 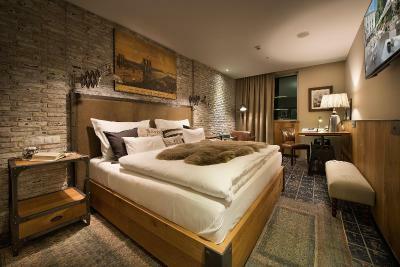 Nice hotel with nice interior design. 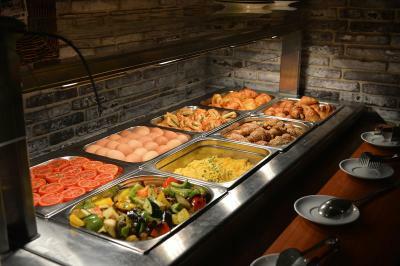 Breakfast was amazing with a lot of different choices. We really enjoyed our staying in the hotel. 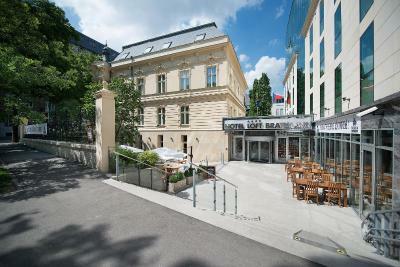 The hotel location is between the main train station and the city centre. 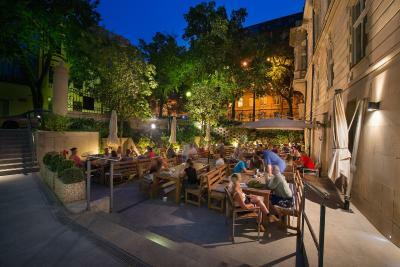 Hotel exceeded our expectations, our stay was more than pleasant. Rooms are spacious and very clean. 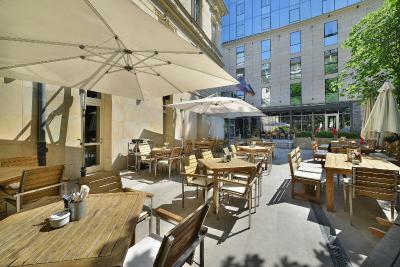 Location is good, near the city center. The only complaint I have was of a bit of staff intrusion. A maintenance guy mistakenly barged into our room one afternoon (literally just let himself in after a quick knock), catching one of us in a state of undress. Then, the morning of checkout, the maid was knocking at 8:40am wanting to know when we were leaving because she was ready to clean our room. The first was an accident and those things happen. The second was intentional and should never happen. LOFT - beautiful design of the room. I had a window on the park side. 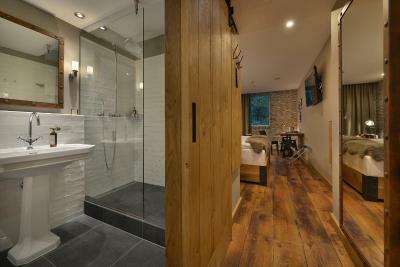 Beautiful, clean bathroom with shower. Very modern TV set. 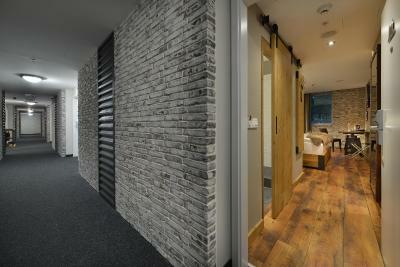 Fantastic materials used for furniture and bathroom. Room was quite and coisy. 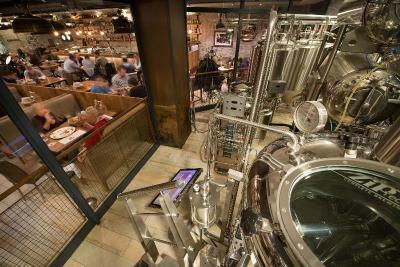 Breakfast was okay, restaurant crowdy in the evening - full of young people (good beer). Not far from the Old Center and main railway station. Fully recommended! Staff were lovely! Only a 5 minute walk to the train station and about 15 minutes to the old town. Great hotel, would definitely recommend! Our room was large but felt a bit empty/underfurnished. 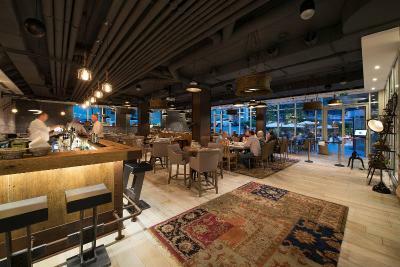 And the restaurant has a kind of industrial/modern aesthetic, but all three times we were there the music was the same pop -- Spice Girls, etc. Not much to complain about -- the rooms were clean, the food was good, the staff was friendly -- but it just seemed like some of the design elements were a bit off. Hotel was nice, newer, and very clean. Staff were very friendly and helpful. 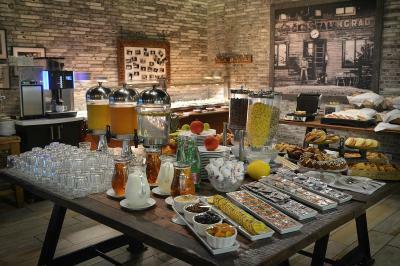 A nice breakfast spread in the mornings, and we had a nice dinner in the restaurant one evening as well. A nice location, only 15 minutes or so walking to the center of town. WIFI was weak in the room, which may be because of distance as it was a corner room. 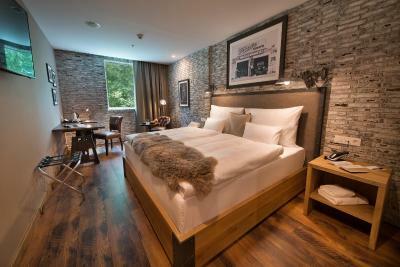 This is a new and well built modern hotel with spacious rooms and comfy beds. Our 'family' room had enough space to house mom, dad and two teen kids comfortably. 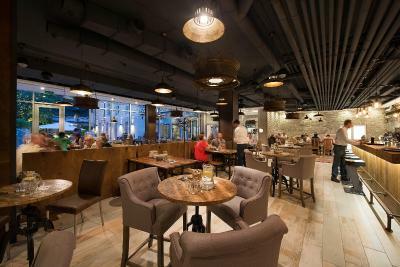 The breakfast was excellent, and the location allowed for easy access to downtown and to the train station. Really clean and modern and new. 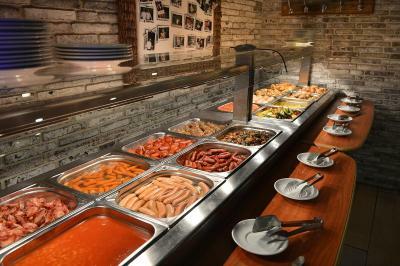 Nice food in the restaurant and convenient location. 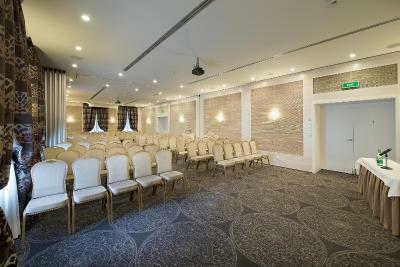 The decor and setup of the property was very clean. The food was excellent.